Singapore is a sovereign city-state and island country in Southeast Asia, south of Malaysia. It is a global financial centre with tropical climate and multi-ethnic population. We reach it by crossing the Malaysian border by bus from Johor Bahru (https://www.marsontheroad.com/en/destinazioni/49/johor-bahru-malay-state-on-the-border). This city fascinates us especially for the presence of different districts, each with its own identity, with a unique alternation of colours, flavours, and customs. It is a modern city, rich, clean and tidy; the cost of living is quite high but the salaries seem to be well proportioned. Many Malaysians, in fact, cross the border every day to go to work in this metropolis, now a worldwide financial centre. Marina Bay: more than just a district, it is the symbol of Singapore. Rich in luxury hotels and shops, bars and restaurants. Charming for its modern and bursting forms, able to attract tourists of all ages. Moreover, every evening, it is possible to admire a unique show of lights just after sunset. Gardens by the Bay: it is the green lung of Marina Bay, whose symbol is the Supertrees, that is photovoltaic trees able to accumulate the heat of the sun and produce energy for lighting, buried in an artificial forest. An incredible project that combines renewable technologies and botany. Furthermore, rainwater collection systems have been installed, which are able to integrate the plant irrigation system. The Gardens by the Bay also host the largest greenhouses in the world, fully air-conditioned and with zero emission: Flower Dome and Cloud Forest. Marina Bay Sands: it is a casino resort, today the third in the world by extension, the symbol of Marina Bay. The complex is surmounted by a suspended platform shaped like a ship called SkyPark (340 meters) where there are hanging gardens, bars and restaurants. At a height of 200 m, there is also a pool (the world's highest pool) 150 m long, but accessible only to the guests of the resort. Museum of art and science: it immediately impresses us with its external structure of futuristic design that recalls the idea of a lotus flower with open petals. 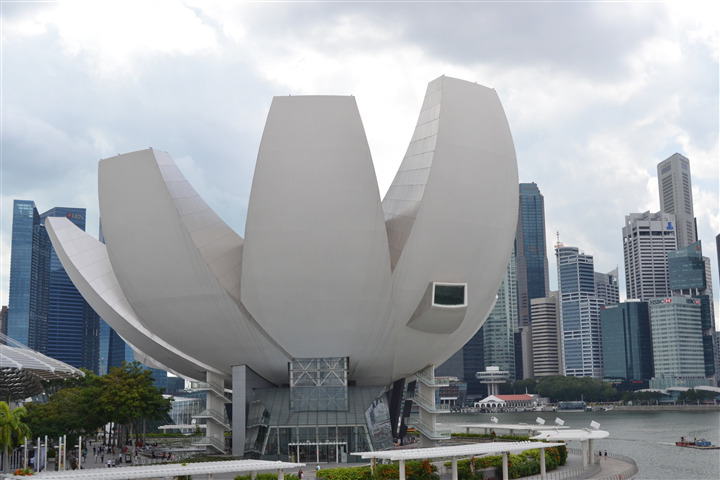 It represents one of the main centres of cultural diffusion of Singapore, proposing an innovative link between the world of the arts and that of science. The Helix: of remarkable innovative beauty is the bridge that connects Marina Centre to the South Marina. Elliptical in shape, the bridge recalls the same DNA structure. It is really a show of engineering and architecture, especially when it is illuminated in the evening. 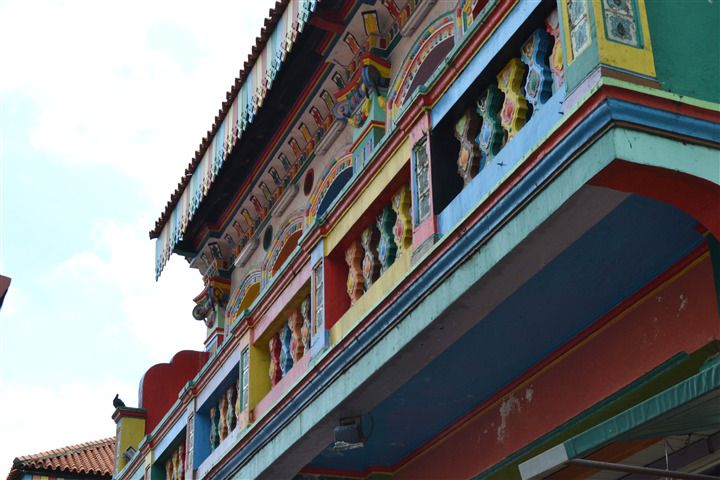 Little India: it is probably the most vibrant and colourful district of the city. It will immediately fascinate you with its dozens of narrow streets full of markets, Indian food and music, all surrounded by colourful buildings. Simply adorable! Quark Quay: a district that stretches along the bank of the river and known for its vibrant nightlife. It is also pleasant to walk around during the day, lingering in one of the many bars. Chinatown: as in every Asian city, you cannot miss the traditional Chinese district. At this time of the year, it is particularly interesting to visit thanks to the preparations for the Chinese New Year which will take place on February 16th. Botanical gardens: they are a botanical park that stretches over 74 hectares, which can be visited free of charge every day from 5 am to midnight. The gardens are divided into areas of interest including the National Orchid Garden: it covers 3 hectares of hilly terrain and allows you to admire more than a thousand species of orchids and 2000 hybrids. Orchard Road: is the main centre for high fashion shopping. It is an area full of shopping centres and restaurants.